I installed 10.5.5 on my hackintosh, but it crashed, and I had to hold the power key down to shutdown and then restart. On restart I got the message "You Need to restart your computer. Hold down the power button for several seconds or press the Restart button". When you do this you get the same message all over. If you look at the top of the screen in the boot messages you'll see "Unsupported CPU \n" and "AppleIntelCPUPowerManagement". Whats happened is that the updater has installed the kernel extension (kext) AppleIntelCPUPowerManagement.kext so you need to remove it. To do this boot from the DVD. after the usual whirring away you'll get the start of the installation. At the 'select destination screen' go to the Utilities menu and select Terminal. Quit from the installer and click restart. .5 update seems to cause even more problems, and not everyone will get it working the same way. I had to also re-install a pile of kexts, several times. If you have it working, can you check system profiler - I suspect you may find you've lost quartz extreme and HW core image. Yes, the .5 did hose my system. After I got it to restart without the kernel panic it got stuck in a loop trying to load the login window - its the blue screen. Using the -v option at Darwin shows what failing to load. I tried booting safe, single user, all sorts, even tried removing the HD and removing kexts externally. Second time round I used msiwindosx86, ran the updater, and its not gone wrong. I had the same experience and went from 3 times Kalyway install that froze on the 10.5.5 update install. Finally installed msiwindosx86 and ran updates successfully until I added the kext to eliminate the 800x600 screen. Now I have the freeze like the prior install and only installed Paul's GMA950 kext. Any ideas to help here with a little guidance. WHen you open a terminal screen, there is not a Volumes directory. The terminal is running against the DVD loaded Volume? Don't you need to mount and change to the HDD Volume? You instructions seem very helpfulbut as a noob I am a little lost. 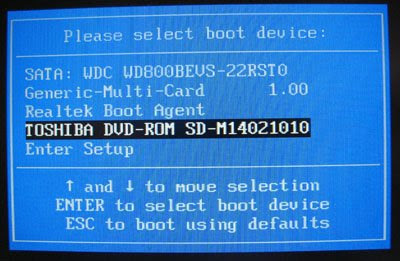 Because you are booting form the DVD, the instructions should work OK.
Do you get a file listing? The terminal CD command doesn't seem to work for me either. Library does exist, Extensions doesn't though. (There is a folder called Preferences). Mind you, I'm a huge noob to Linux and MacOS X, but I ran into this problem after simply clicking the "Install Updates and Restart"-ish button. If there's any help, please do post. Fantastic, this fixed my problem doing a software update from 10.5.2 to 10.5.6 on a hackintosh that uses the efix dongle. Thanks! You Seriously Rock! Took me a bit to figure out the how to do the "space" in my harddrive's name (took me longer to figure out why I would have put in a space!) but hitting tab for each directory saved the day! thanks! Worked great for me on a Dell Latitude D620. Thanks for the tip, followed it exactly and resolved the issue as described. I run that command on my OSX it sucessfully run but now when i restart my MAC it is hang with white screen with middle apple logo. I tried the terminal, being a noob, I don't know if the terminal has accepted my commands. Here,i've installed 10.6.1 on computer,then installed voodoo on comp. then kernel panic shows after that. then i need to backup all to thumb drive. then insert the drive;these are Games:IslandRacer.app,MacPool.app. Apps and Docs are some Games and all,Docs are all of them. Instions:Boot into 'boot from'.use up down and choose'hackintosh(this is drive. )'now the hp boots in win 7 again,shut down it.when the osx installer boots,try to backup all files and game,docs.plese . optons(apps) and diskulity.app. select drive,partion and erese. also the C:/ erese is OK and partion.when OK,reboot and darwin boot and now free of kernel panic!!! cool! One of my next projects will be to install 10.6 on the Wind. PSP Ultimate Repair Guide By wanclickid on my comp. Then shuting down does remove vodoo on my comp. Now i'm going to web. And ive already check web,close it. Hey, I downloaded WindOsx86.iso and installed it on my msi wind. Everything except the mis and head phone jack works. I have 10.5.4 installed right now. When i try to update to 10.5.8, nothing really works, i only have 800x600 display, no webcam, and the kexts i install dont seam to work either. Is there a newer version of the WindOsx86.iso? Did you download and install the newest drivers for this distribution? Can you restart from the DVD? ie are you sure this is a software / OS problem and not a hardware problem? Would there be a problem with performing the Terminal command from inside OSX, rather than from the DVD? I only ask because I don't have the DVD and doing it in the OS would be much easier for me. I'm guessing you all are doing it this way because you can't get back into OSX without getting the "you must restart" screen? I can get back into OSX just fine if I first boot my Windows drive, shut down properly, and then restart and boot the OSX drive. If you couldn't tell, I'm a total n00b. Forgive me. yes, you must do this when booted from something other than the hard drive (OSX) because thats the install thats got a problem. after changing the directory to Extenstions, when I run the rm command it is saying command not found. Then, I renamed the AppleIntelCPUPowerManagement.kext to a new file name and restarted. Still same problem. You are god, thank you. Thanks for the info! That fixed it! I tried and the system says no such directory. how? How do you delete the kext? This is where I am really confused.